Something sparkled at my feet as I walked by. 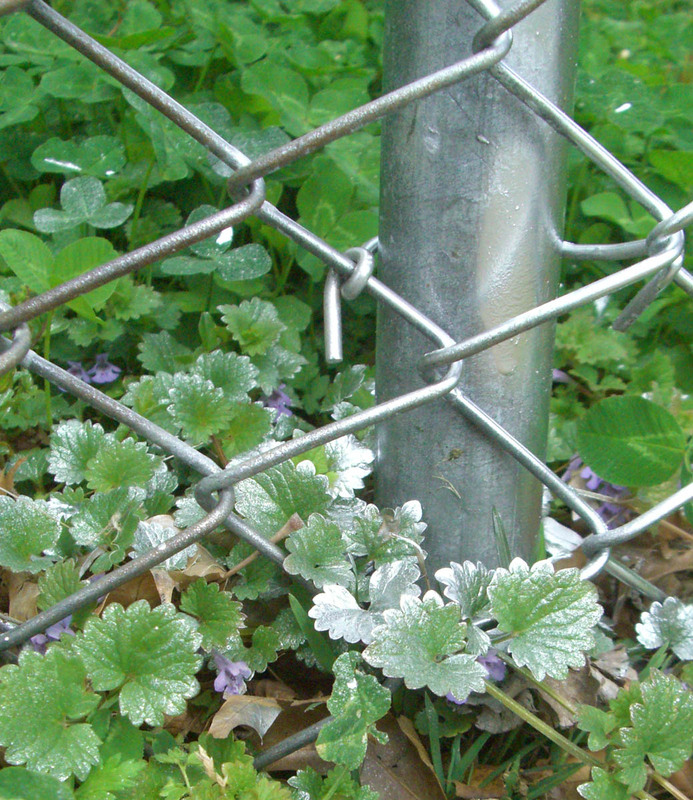 The chain link fence had been freshly painted and the overspray had dropped onto the weeds clustered around the base of the fence. 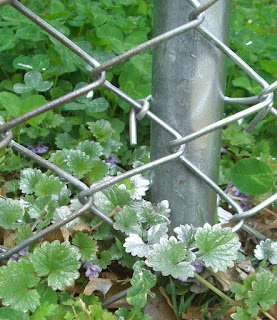 Many pale or gray-green plants are described as being silver in color. What if the next Burpee's catalog boasted of a new breed---the first plants with a genuine metallic sheen? Would gardeners rush to add silver and gold to their front beds and hanging baskets? Although my chance discovery added a bit of magic to the day, I am happy with the non-metallic homegrown magic found in my own little garden, just as it is.